IGBTs can switch on and off extremely fast. The speed with which they can switch from 0 V to full dc bus voltage is referred to as rise time, or dv/dt. There is a phenomenon called "reflected wave" that is exacerbated by the IGBT's characteristic fast rise time (around 0.1 microseconds). The situation occurs when there is a mismatch between the interconnecting cable impedance and the motor. The motor terminals reflect the voltage rise back on the cable. This reflection on longer cable lengths can reinforce subsequence pulses, resulting in increasing electrical resonance as the carrier frequency is increased. This reflected wave can result in a voltage transient up to two times the dc bus voltage. 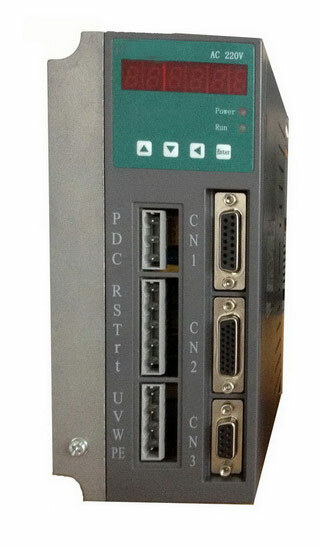 Again, this dc bus voltage can be 1.414 times the ac input voltage. In a 480 V system, this can result in transients in excess of 1200 V. Faster rise times reduce the cable length at which this phenomenon is experienced. One manufacturer's general rule of thumb is that this can become an issue if cable length between the frequency inverter and motor exceeds 15 ft. In real-world applications, having this short of a length is pretty ambitious. Other manufacturers have recommendations for the maximum acceptable carrier frequency. Another recommended solution is to provide filtering devices between the frequency inverter and motor to mitigate the voltage overshoot, but that also adds cost and complexity. Frequency inverter manufacturers installation recommendations aside, how much voltage can a motor’s winding insulation really tolerate? 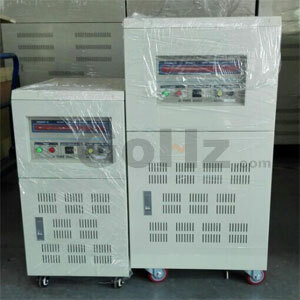 The winding insulation system on existing general purpose motors may generally withstand pulses of 1000 V, which is totally inadequate for IGBT drives on 480 V systems. If the ac input voltage to the frequency inverter is 240 V or less, the dc bus voltage is kept low and the magnitude of these "reflected waves" generally is not an issue. However, with higher motor horsepower, these lower utilization voltages are not always feasible. If the ac input voltage is 480 V with possible higher transient overvoltage, "inverter duty rated" motors become an option. But what is an "inverter duty rated" motor? The definition varies depending on whom you ask. NEMA MG1 Part 30 specifies a peak of 1000 V at 2 microseconds rise time, which is OK for SCR and BJT drives but definitely not for IGBT drives on 480 V systems. 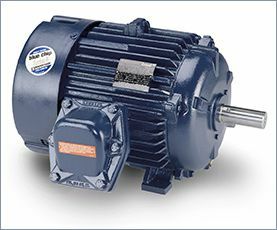 Ideally, inverter duty rated motors should conform to NEMA MG1-2006, Part 31. Part 31 specifies a maximum dielectric withstand capability for a peak line-to-line voltage of 1600 V and a rise time of 0.1 microseconds with improved bearing lubricant for higher temperature operation. Now that the insulation system is now "bulletproof" with a NEMA MG1-2006, Part 31 compliant motor, what happened to that annoying high-frequency "reflected wave"? The answer is that it is still there, creating a capacitive coupling between that stator and rotor. Again, the only place that the stator and rotor assemblies make contact is at the bearings. Once the bearing grease experiences dielectric breakdown, there is an electrical discharge at the bearing races and flow of current through the bearings (bearing current), resulting in a phenomenon known as electric discharge machining (EDM). At the point of discharge on the bearing race, the surface of the race becomes pitted. After a period of time, all of these tiny pits form grooves or "flutes" in the bearing race perpendicular to the direction of bearing travel. These eventually destroy the motor bearings. Lower carrier frequencies. Keep the inverter and motor as close together as possible for the shortest possible cable length.Install insulated bearings to prevent the flow of current between the bearing races. However, this does not necessarily address the root cause.Install a shaft grounding device that provides a low impedance path that bypasses the bearings and properly ground the frequency inverter and motor frame. However, typical shaft grounding brushes will eventually wear out and become a maintenance item.Install shielded cable that provides a low impedance path for high frequencies between the frequency inverter and motor.Each of these solutions has a cost associated with it. As such, a determination that balances life and reliability with acceptable cost has to be made for any specific application.